A little-known provision of the 2010 health care law has states and their governors scrambling to take advantage of potential savings in how states distribute medication to Medicaid patients. The Affordable Care Act (ACA) allows states to receive drug rebates even if they move their Medicaid prescription benefit to managed-care organizations. The federal government has also asked states to fix the wide disparities in dispensing costs for drugs distributed through Medicaid. That has created a rush by states and businesses to capitalize on the changes as evidence shows they are having an effect. For the first time, New York has reduced Medicaid spending. Alabama, which had one of the highest dispensing rates for Medicaid drugs, has created a commission to determine the best way to distribute medication. "It's clearly been a trend over the last several years," said Andrea Maresca, director of federal policy and strategy at the National Association of Medicaid Directors. "I think there's money to be saved." The increase in spending for Medicaid, the federal-state health care program for low-income Americans, has bedeviled states for decades. Spending for medication was no different, and states have tried preferred-drug lists that point beneficiaries to cost-effective medications, requiring prior authorizations of drugs, requiring discounts from manufacturers, negotiating additional rebates and entering multi-state joint-buying programs. Although some approaches have succeeded in reducing costs, they have also created a patchwork in which states such as Alabama pay $11 per prescription to dispense Medicaid drugs but with low ingredient fees, while other states pay $2 in dispensing fees and higher costs for ingredients. Neither approach is transparent. The battle for change now pits pharmaceutical manufacturers, pharmacy benefit managers and both physical and mail-order pharmacies against one another. They are lobbying state legislators around the country to encourage the use of certain medications, incentives and rebates. At the same time, drug costs have increased, and people are using more medications as they develop chronic diseases such as heart disease or diabetes. One approach is moving to managed care. Managed-care plans mean the state contracts out its pharmaceutical services to a group that agrees to provide services for a lower cost. Rather than a pharmacy charging a set amount every time a person fills a prescription, a managed-care system gets paid more the more money it saves. This can be good for the patient in that there are fewer opportunities for drug duplication. However, there have been concerns that insurers will not pay for medications a doctor prescribes, such as for behavioral health issues, or that quality will be cut along with costs. Big pharmacy management providers say they can save the states as much as $33 billion over 10 years, according to a 2011 report commissioned by the Pharmaceutical Care Management Association. A new report that assumes Medicaid expansion in all the states because of the Affordable Care Act estimates $90 billion in savings, according to the Lewin Group. The ACA allowed states to expand their Medicaid programs to cover more people. Some of the nation's most populous states, such as California and New York, have expanded, while others, such as Texas, have not. Expansion can provide a windfall to any drug provider in Medicaid. "Medicaid expansion puts a premium on this," said Mark Merritt, CEO of the Pharmaceutical Care Management Association. Merritt called moving to managed care "relatively pain-free," saying that it allows states to reduce costs without reducing benefits. Others in the field, however, say it creates pain for business that will lose their markets to out-of-state corporate management firms. "For a long time, the evidence has been that the states have been very generous to the pharmacies," said Adam Fein, founder of Pembroke Consulting, a management advisory and business research firm. Changing the system can allow states to cut the overly high payments to pharmacies, Fein said. States haven't saved as much money as anticipated from using generic medications, because of the way they reimburse pharmacies. Now, however, the law lets states create maximum allowable costs for drugs based on the cost of the drugs to the pharmacy. The upper limit under the law is 175% of the manufacturing average costs, but the final federal rule has not been issued. When it is, Fein said, the federal reimbursement rate for states and pharmacies will be cut. That means pharmacies will then tell the government how much they paid for the medications, and the government will pay that amount plus a dispensing fee to the pharmacy, Fein said. That makes for a more-transparent process and eliminates under-the-table negotiations. Alabama, Colorado, Idaho, Iowa, Louisiana and Oregon use this system already. "Managed care could be better or worse," Fein said. Medicare uses managed care, and there are proven methods to save costs, such as systems that steer patients to less-expensive medications, preferred pharmacies and mailed-medication programs. "Some are working better than others, but it's buyer-beware, just like anything else." Managed care isn't the only option, Maresca said. "Some states just don't have the market," she said. "Rural states may not see it as feasible." But, because there are federal funds for coordinated care, it may become feasible at a local level, she said, such as within a hospital or for a specific population of patients. "There's a recognition that the states need to be a bit more sophisticated to deliver managed care," she said. New York changed to a managed pharmacy program for Medicaid in October because the state had a 13% annual growth rate for Medicaid, which was eating 40% of the state budget. Jason Halgerson, the state's Medicaid director, said the results have been dramatic. "We're seeing $400 million in savings in a year," Halgerson said. "We had hoped for $200 million. We reduced drug spending by about one-quarter." States had worried they would lose federal rebates for medications and would be unable to negotiate for lower prices if they moved to managed care. "There are legitimate concerns," Halgerson said. "In behavioral health, it can be difficult to get medications approved, and we worried that it would be challenging for providers to get medications approved." Pharmacies have been receptive, Halgerson said, because they have experience with managed care and were worried more about "downward reimbursement payments and mail order pharmacy." "We're all under fiscal pressure," he said. Alabama just created a commission to look ways to save in the Medicaid pharmacy program. "We're nothing close to that," Don Williamson, Alabama's state health officer, said of New York's $400 million in savings. "Our program is only $600 million total." But Alabama still needs to save money, Williamson said, because "our Medicaid demand exceeds our resources." 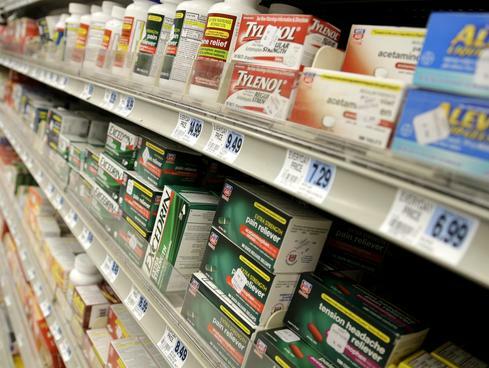 Alabama faces different problems from New York because much of the state is rural, and the national pharmacy chains don't have the same reach as they do in cities. So, Alabama is trying to work with local pharmacies and providers, rather than an outside corporation, to create regional managed drug benefit programs, Williamson said. "For us, it's going to be an interesting balancing act," he said. He cited Colorado and Oregon as states that have moved in that direction. His commission will present its findings Dec. 1.